Lawyers of Archpriest Giorgi Mamaladze, who was sent to prison for attempted murder of the Georgian Patriarch’s secretary, have filed a request in the president’s Pardon Commission. The lawyers say that the request for pardon does not mean that Mamaladze admits to the crime. “We are requesting from the president to pardon the archpriest as huge irregularities are in his case,” Lawyer Giorgi Pantsulaia said. The lawyer believes that the archpriest has “high chances” to be pardoned. Head of the President’s Pardon Commission Zviad Koridze stated that Mamaladze’s case would be discussed soon in the commission. He says that the lawyers’ request on pardon will be sent to the archpriest in prison for the convict to sign the petition. 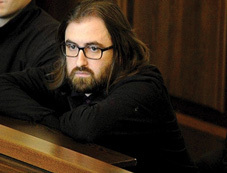 In early February this year, Georgia’s Chief Prosecutor’s Office announced that they had detained archpriest Giorgi Mamaladze, the deputy head of the Patriarchate’s Property Management Service and director general of the Patriarchate’s medical center, at Tbilisi International Airport, from where he intended to depart for Germany on February 10. At that time the Patriarch was in Germany, where he was operated on for bladder-related complications. The Office did not say that the person whose murder was allegedly planned was necessarily the Patriarch. However, the Office’s silence for several days and unconfirmed information generated speculation that the target was Patriarch Ilia. Only after several days did the Office state that the alleged target was the Patriarch’s female secretary Shorena Tetruashvili, and also released video footage in which Mamaladze spoke about Tetruashvili in a negative context. He is also heard to say that Tetruashvili is an influential figure in the patriarchate who represents an obstacle for his career. Mamaladze’s lawyers and family claim the man is innocent and the footage was fabricated.